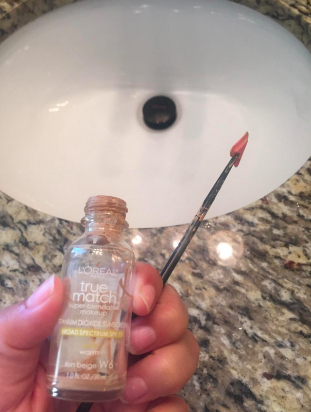 Because you deserve every last drop of that foundation. 1. Foundation color mixers so you don't have to buy a whole new bottle when you get or lose a tan — or just buy sliiiightly the wrong shade. Just mix a few drops in with your foundation and apply! 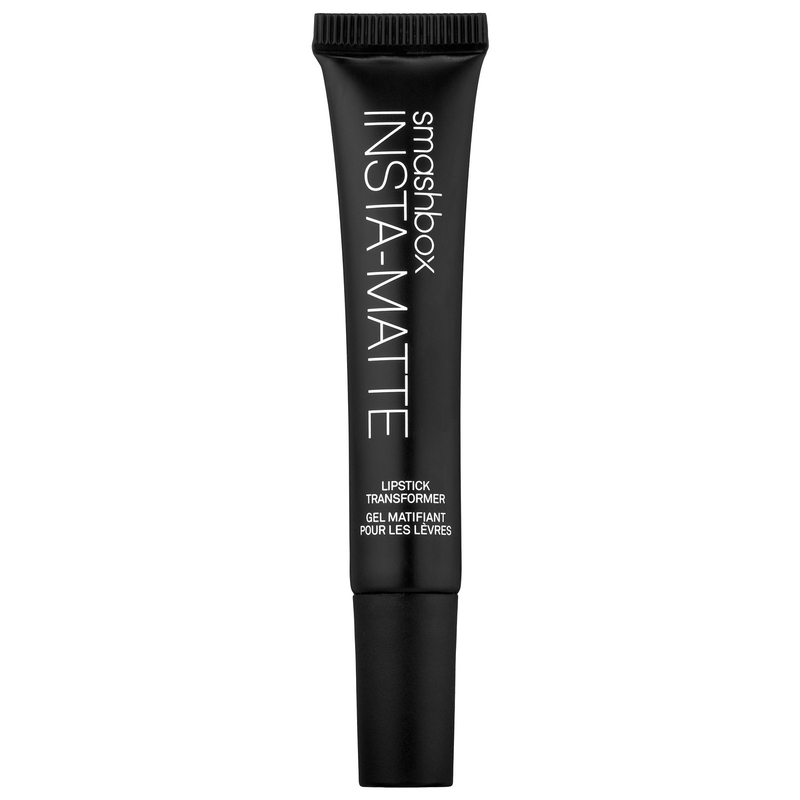 Get it from Walmart, NYX or Ulta for $9.99. 2. 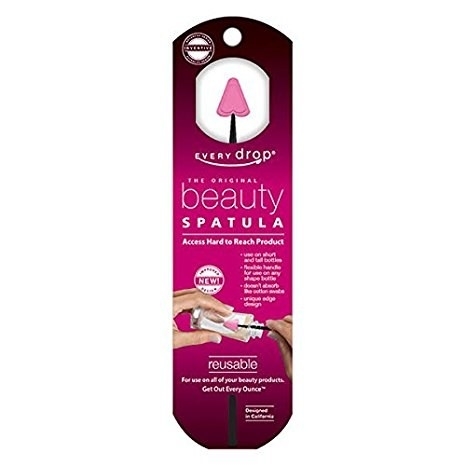 A flexible spatula specifically designed to remove every last drop of foundation or concealer. EVERY DROP. Seriously, look how clean that bottle is!! 4. A bottle of Sally Hansen Miracle Gel nail polish to give you a long-lasting gel manicure with NO UV light needed. Meaning you get an at-home manicure that lasts and lasts (at a drugstore price). Get it from Amazon for $7.49+ or Jet for $6.82+. Available in 87 colors. And check out a BuzzFeeder's review of this polish here (#3)! 5. 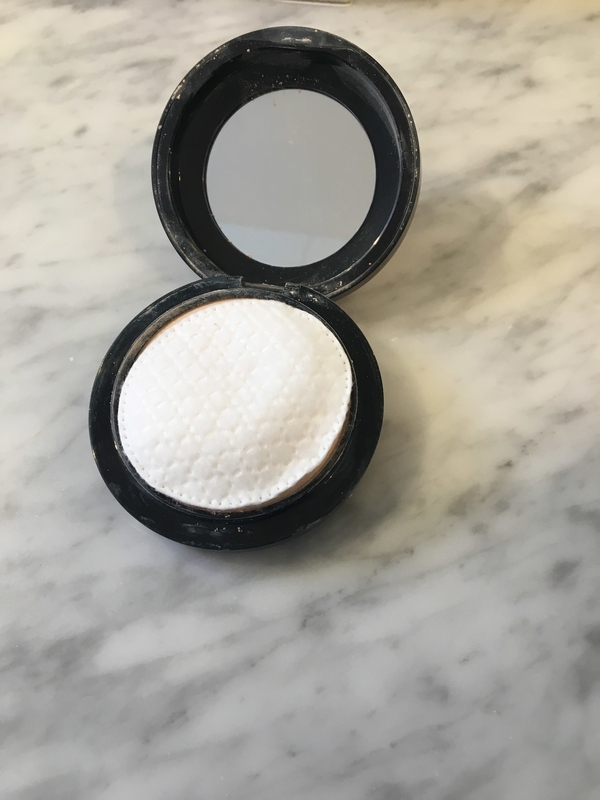 A pack of cotton rounds you can pop over your powders and shadows before traveling so they don't smash or crumble into a million pieces. Get an 80-count sleeve of organic cotton rounds from Jet for $4.28 or three 80-count sleeves (240 rounds total) from Amazon for $11.28. 6. 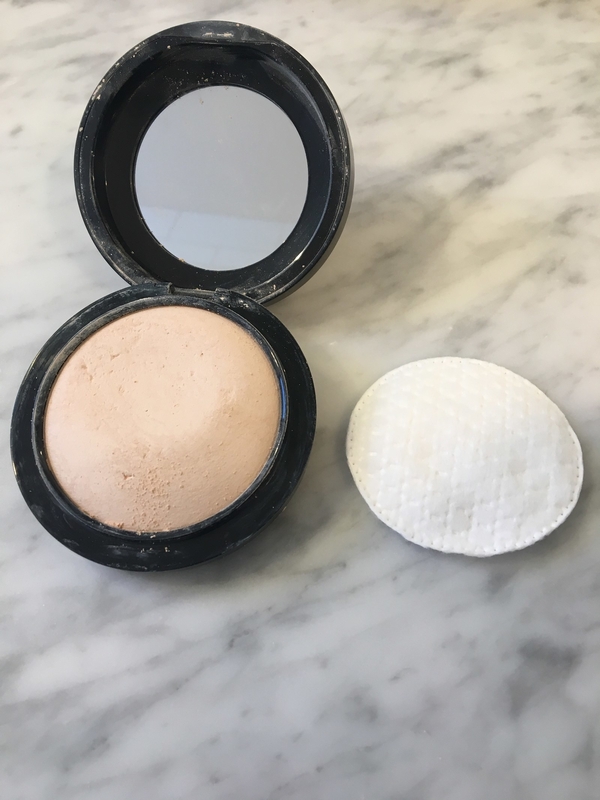 Or if the damage has already been done, a bottle of rubbing alcohol that'll completely revive broken or smashed pressed powders or eye shadows. Get it from Amazon for $7.29 or Jet for $10.28. 7. 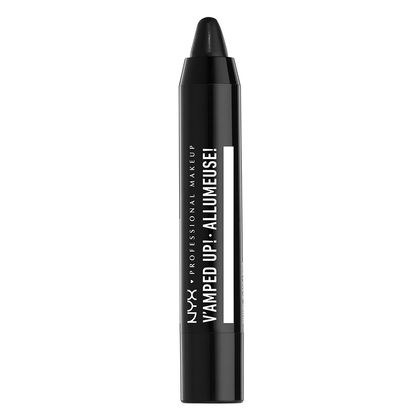 A cruelty-free eyeshadow primer to keep your makeup look on lock all day AND all night. That's right, you will NOT have to reapply before your evening plans. 8. A bottle of gentle baby shampoo that'll banish even the peskiest traces of eye makeup (at a fraction of the price of makeup remover). Get it from Amazon for $16.76. 9. A pair of tweezers to remove the stoppers from lip glosses, concealers, and other tubes so you can remove every bit. 10. A jar of disposable spatulas so you can scoop out your moisturizers, masks, and other jarred products without contaminating your jar or taking too much product. Learn more about product expirations (and why dipping your hands into the same jar over and over is bad) here. 11. A two-in-one lip and cheek stain that'll look natural and laaaaast (according to one reviewer, it lasted through a plate of spaghetti), because buying lip AND cheek products gets pricey. Available in three colors (Cherry Ade, Orange Ade, and Strawberry Ade). Or you can get the set of all three for $12. All on Amazon. 12. A unique cap dispenser system to store your lotion, shampoo, moisturizer, and other bottles upside down so you can get every drop without working too hard. 13. 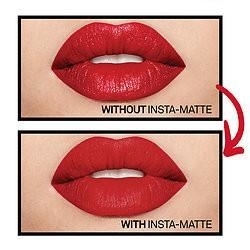 A mattifying gel for anyone who wants perfectly matte lips but already has a whole collection of creamy colors they don't want to waste. 14. 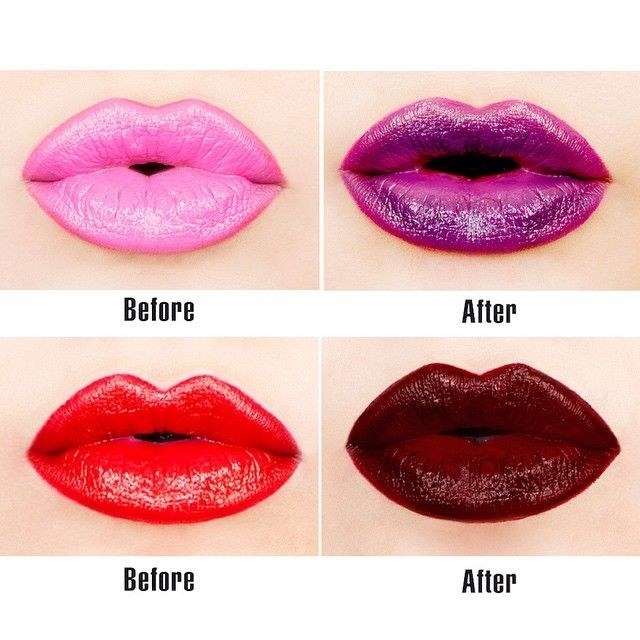 A lip topcoat that'll vamp up any existing lipstick by making it deeper and darker. Plus, it's formulated with shea butter and vitamin E to moisturize your lips while you're wearing it! 15. A set of adorable and TSA-approved refillable bottles so you can stop wasting money on expensive travel-size versions of your beauty must-haves. 16. A bottle of eye re-wetting drops to refresh that clumpy and dried-out mascara that hasn't even expired yet. It'll go on like brand new! 17. A fan-favorite setting spray that'll finally spell the end for having to re-do your full face of makeup (or waste money on those blotting sheets). Your face will stay perfect and shine-free all day and all of the night. Get it from Amazon for $5.99 or Walmart for $8. 18. A face mask mixing kit so you can whip together a soothing and hydrating oatmeal, milk, and honey mask with the ingredients from your kitchen. (Plus, the little jar is perfect for repotting that last bit of lipstick you can't get out of the tube). Get this nine-piece set from Amazon for $7.99 or a similar four-piece set from Jet for $8.15 (it includes measuring spoons, a bowl, mask brush, and mask stick). Check out some ideas for DIY facial masks (and info on what dermatologists actually say about them) here.